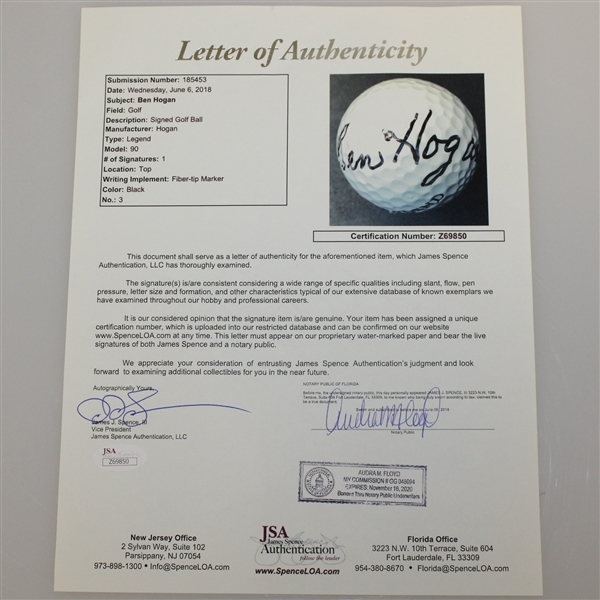 The great Ben Hogan left his signature on this Legend logo golf ball, made available to bidders in this lot. 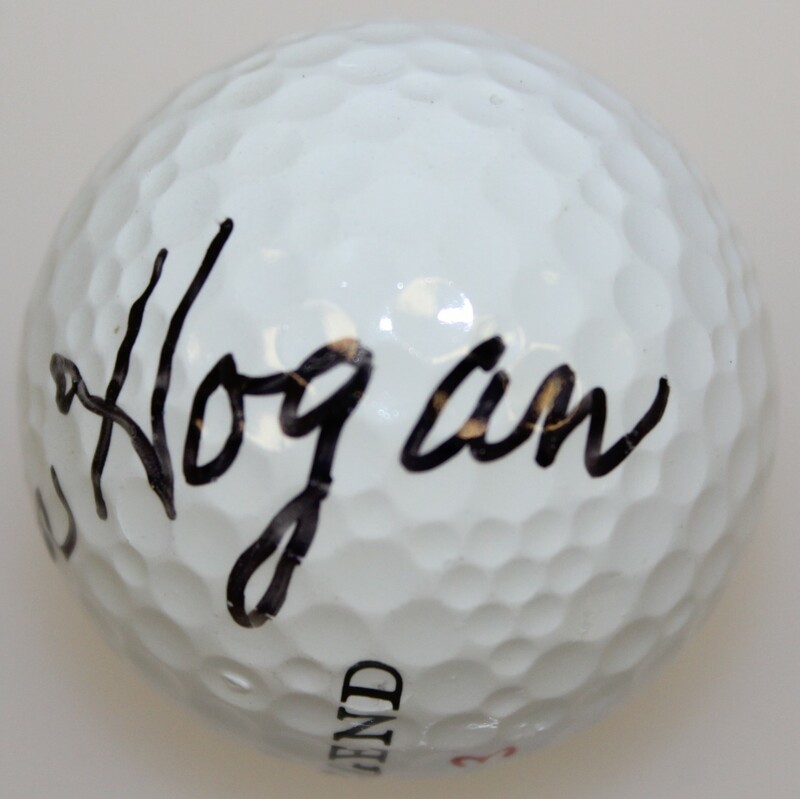 Hogan's signature in black marker has preserved. Ben Hogan is considered one of the greatest golfers to ever tee up, and his swing and ball striking ability have withstood the test of time. 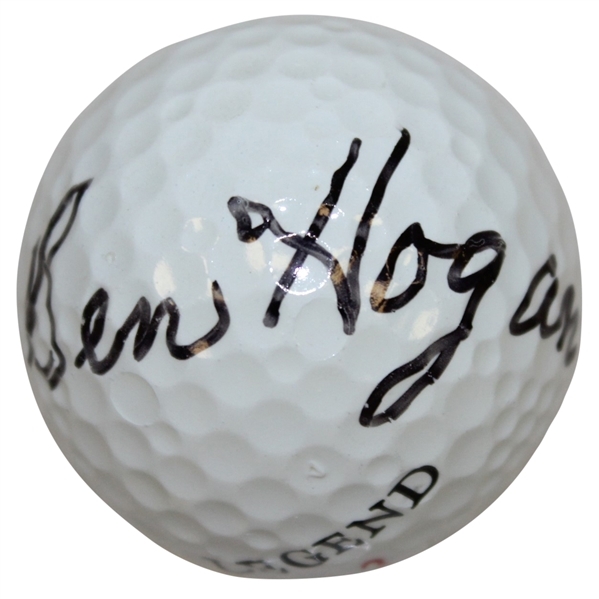 Hogan is tied with Gary Player for fourth all-time in Major championship victories with nine (US Open: 1948, 1950, 1951, 1953; Open Championship: 1953; Masters Tournament: 1951, 1953; PGA Championship: 1946, 1948). 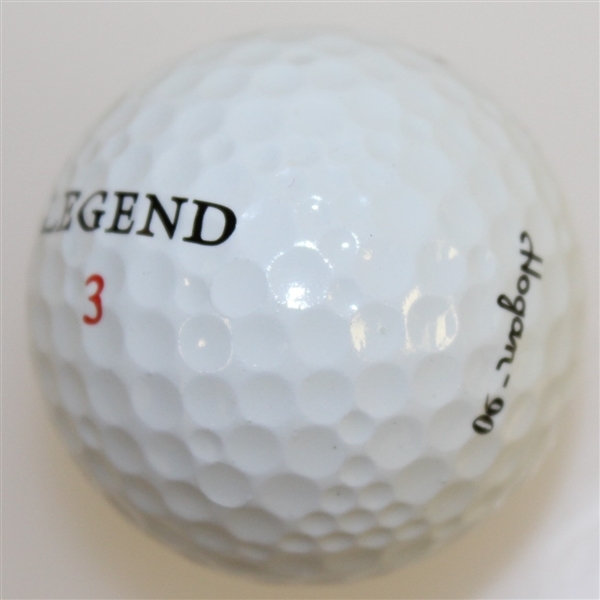 He remains one of only five golfers to accomplish the coveted career Grand Slam, by winning all four Majors. It only took Hogan one try at the Open, where he won in 1953 at Carnoustie, his third major championship of that year. 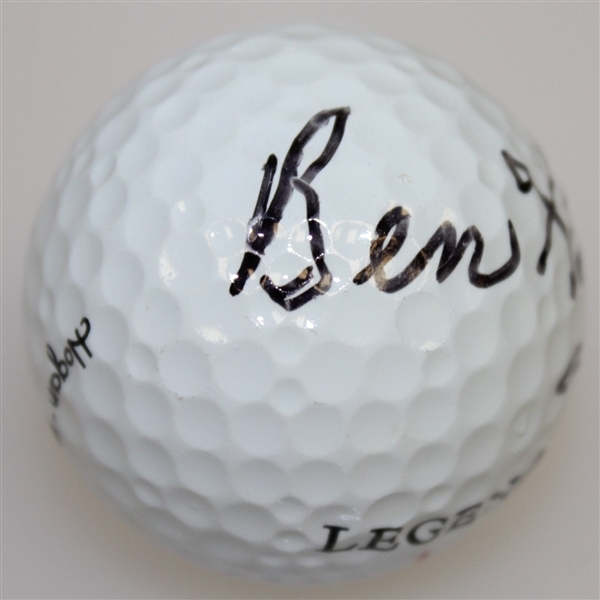 Ben Hogan signed golf balls command attention and typically garner a lot of interest in our auctions. James Spence Authentication (JSA) has reviewed the signature and their full letter of authenticity will come with this lot.